Scaling & Root Planing - Hartford, CT - Steven M. Balloch, D.D.S. In its earliest stages, gum disease can cause uncomfortable and embarrassing symptoms. However, without timely treatment, it can lead to much more serious oral health problems. To protect your smile, Dr. Steven M. Balloch and his team can perform scaling and root planing, also known as a deep cleaning, to reverse the effects of gum disease at his Hartford, CT, practice. This non-surgical treatment is a quick and simple procedure that can have many benefits, including alleviating your symptoms and preventing your condition from escalating. 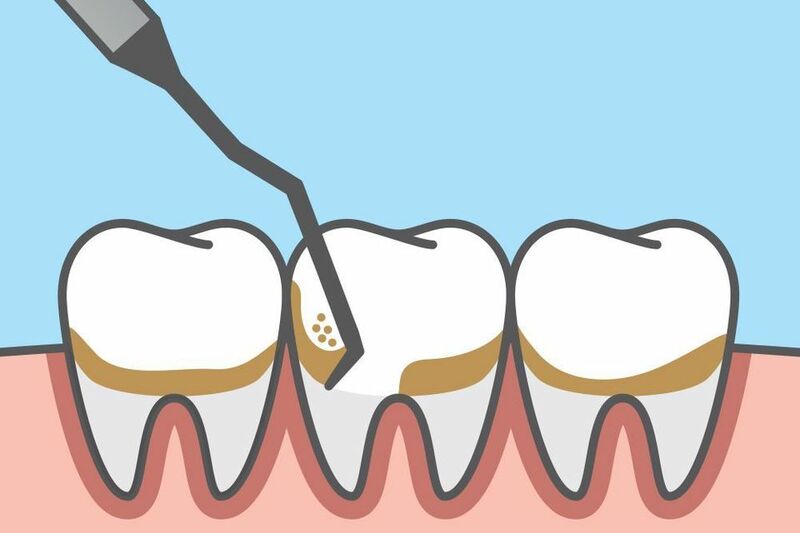 During this procedure, the doctor will first remove the plaque above and below the gum line, then smooth out the tooth roots to prevent reinfection. Do You need scaling & Root Planing? The doctor will use a special tool to measure the depth of periodontal pockets around your teeth. If these are over four millimeters deep, a deep cleaning is usually recommended. While patients typically only experience minor discomfort during treatment, we will first apply a local anesthetic to numb your gums to ensure you remain as comfortable as possible. The treatment itself is a two-part procedure. First, we will perform the scaling. To begin, a special tool will be used to thoroughly and gently remove tartar and plaque that has accumulated below the gum line in periodontal pockets. Next, we will smooth the tooth roots, a process known as root planing. This eliminates rough spots and encourages the gums to reattach to your teeth, closing the periodontal pockets where plaque and tartar can gather. By removing potential footholds for bacteria, root planing also reduces your risk of future reinfection. In some cases, the doctor will also apply or prescribe a medication, or mouthwash, to help prevent infection and promote healing. This non-surgical treatment is a fairly quick and simple procedure that can have many benefits including, alleviating your symptoms and preventing your condition from escalating. These symptoms should resolve themselves after a few days. If they continue, reach out to your dentist as soon as possible. After a deep cleaning, we will usually schedule a follow-up visit to monitor healing. During your visit, Dr. Hartford will check the health of your gums and once again measure the depth of periodontal pockets. In many cases, we are able to treat gum disease with a single scaling and root planing procedure. However, if the periodontal pockets have continued to deepen, you may need to undergo further treatment. Either way, we may also recommend that you schedule visits more frequently than the general bi-annual check-ups. Often, we ask that patients who have had gum disease visit us about every four months. Additionally, avoiding smoking can help reduce your risk of gum disease. Dr. Hartford and his team take pride in helping patients protect their smile with high-quality periodontal care. If you are experiencing bleeding or tender gums, or have not undergone a cleaning or exam in the last six months, contact us online or call us at (860) 659-8660 to schedule your consultation.